Radar « Steven J. Crowley, P.E. This summarizes a selection of applications for the Experimental Radio Service received by the FCC during September 2010. These are related to radar, military communications, ad hoc networks, GPS, avionics, WiMAX, maritime identification systems, TETRA, public safety, land mobile interoperability, prison cellphone management, air-ground radiotelephone service, picocells for cable systems, transportable satellite antennas, unmanned aircraft systems, consumer satellite terminals, and low-profile satellite antennas. Northrop Grumman filed an application for special temporary authority in support of airborne experimental testing of the STARLite Tactical Radar System a small, lightweight (65 pounds) radar used for tactical reconnaissance by Unmanned Aerial Systems. Transmissions will be between 16.2 to 17.3 GHz. The radar has three modes: Synthetic Aperture Radar (SAR), Ground Moving Target Indicator (GMTI), and Maritime Moving Target Indicator. In the SAR mode, the radar imagery can be one of three forms: parallel to the aircraft flight vector, along a specified ground path independent of the aircraft flight path, or a higher-resolution spot image. In the GMTI mode, the radar provides moving target locations overlaid on a digital map. The MMTI mode performs a similar function for targets over water. DRS Tactical Systems, a supplier of rugged computer equipment for military environments, filed an application (with supporting exhibit) for experimental license to test a mobile radio gateway. In the test, the mobile node will be a High Mobility Multipurpose Wheeled Vehicle (Humvee) with a mast. Equipment will be Harris model RF-7800W-OU440 broadband Ethernet radios attached to a DRS gateway system. This system is intended aid military and commercial entities by providing complex gateway functionality while in motion. Operation will be on 4.94-4.99 GHz. This summarizes a selection of applications for the Experimental Radio Service received by the FCC during August 2010. 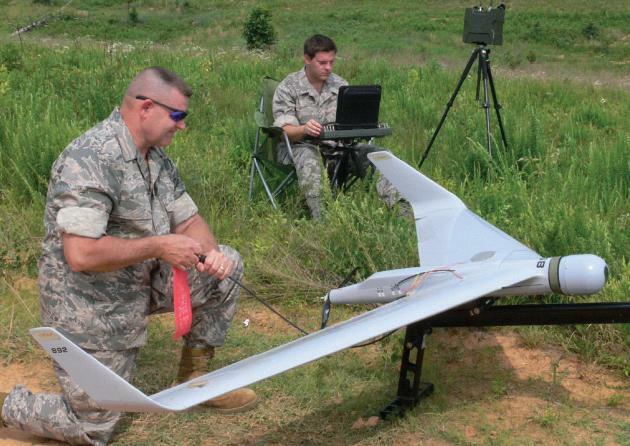 These are related to radar, military communications, mesh networking, unmanned aerial vehicles, satellite services, biomedical telemetry, aircraft telemetry, safe-driving systems, geophysical sensors, electronic warfare, smart grid, and antenna testing. INOVA Geophysical Equipment Limited filed an application (with supporting exhibits) to test a proprietary mobile radio system in the 30-36 MHz and 150-174 MHz bands. 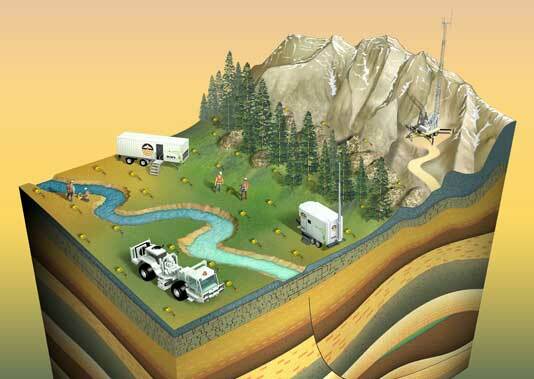 The radio links would be used to control remote geophysical seismic recording equipment, which INOVA manufactures. At the end of testing, INOVA plans to put the radio equipment into production and lease it to customers. Fortress Technologies filed an application for experimental license to test several of its secure mesh-networking products developed for military applications. Several exhibits are included but they are not publicly available due to a confidentiality request. Operation is to be on 4.9425-4.9875 GHz. This summarizes a selection of applications for the Experimental Radio Service received by the FCC during July 2010. These are related to high-frequency data, military communications, environmental data collection, synthetic aperture radar, WiMAX, sensor networks, interference-resistant communications, LTE, rail transportation, air traffic control, white space networks, and RFID. Harris filed an application (with supporting exhibits) for experimental license to operate on various frequencies between 3 and 15 MHz to test an experimental high-frequency wideband waveform that is intended to operate at either 12 kHz bandwidth or 24 kHz bandwidth to allow faster data transfer via high-frequency communications. Harris also filed an application (with supporting exhibit) for experimental license to operate on 4.94-4.99 GHz in support of development of US Army’s Warfighter Information Network: Tactical (WIN-T) and Future Combat Systems (FCS) programs. Equipment is to consist of the HNRe2 Highband Network Radio, manufactured by Harris. Harris says the HNRe2 is comprised of four elements: 1) the Baseband Processing Unit, 2) the Highband RF Unit (HRFU), 3) an Inertial Navigation Unit (INU), and a GPS device. 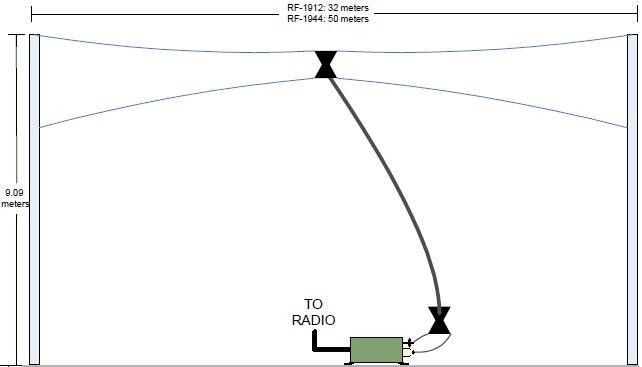 The HRFU further consists of an upconverter, a High-Powered Amplifier (HPA), a Switched Beam Antenna (SBA), a Low-Noise Amplifier (LNA), and a downconverter). The test network will consist of five fixed nodes and one mobile node. The FCC has asked Harris to justify extended testing in a band that is primarily allocated for non-government public safety use. Canon U.S.A. filed an application (with supporting exhibits) for special temporary authority to operate wireless devices in support of a private technology and product exhibition from September 1, 2010 through September 3, 2010 at the Jacob K. Javits Convention Center in New York, NY. Canon is planning to import many wireless devices from Japan to be used with displays during the exhibition. These devices are not FCC compliant and not expected to be FCC compliant until after the exhibition. Frequencies requested include 315.0-315.7 MHz, 2.40-2.50 GHz, 5.18-5.67 GHz, and 61.6-62.5 GHz. This application was granted on August 11. This summarizes a selection of applications for the Experimental Radio Service received by the FCC during June 2010. These are related to aircraft systems, WiMAX, sports telecast support, public safety communications, tactical cellular service, medical telemetry, satellite, antennas, radar, white-space devices, weapons telemetry, spacecraft communications, and broadcasting. AAI/Textron Systems Corporation filed an application (with supporting exhibits) for experimental license. The company wants to test its Shadow 200, Aerosonde, Orbiter and other unmanned aircraft systems. This is related to work for the United States Marine Corp. Operation is to be on 310-390 MHz, 902-928 MHz, 1090 MHz, 1350-1390 MHz, 1700-1859 MHz, and 4400-4999 MHz. Transmitting equipment is manufactured by Microhard Systems Corporation, Free Wave Technologies, Advanced Microwave Products, Global Microwave Systems, and Microair Avionics. FCC staff has asked for several items of information before approving the application. The FAA operates in the frequency bands 328.6-335.4 MHz, 1090 MHz, and 1215-1390 MHz; FCC staff asks for coordination of these bands with the FAA Regional Office. In addition, the frequency bands 225-328.6 MHz and 335.4-399.9 MHz are used for military purposes, and the applicant was asked to coordinate with NTIA’s Interdepartment Radio Advisory Committee (IRAC). 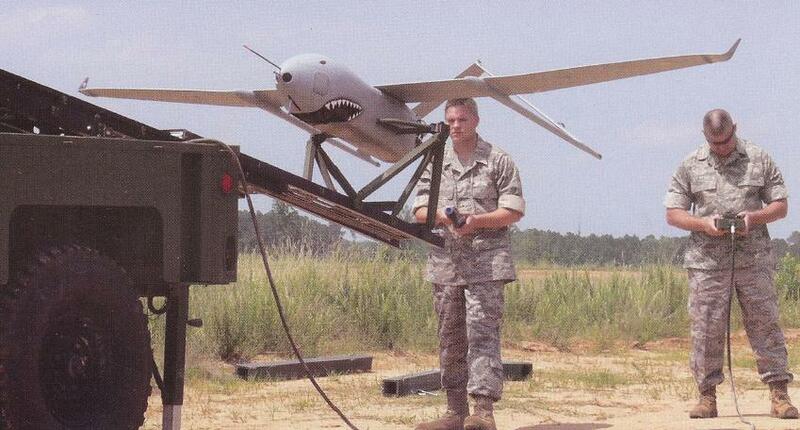 AAI/Textron Systems Corporation also filed an application (with supporting exhibits) for special temporary authority to operate on 420-450 MHz and 2000-2400 MHz for a government project apparently involving the Orbiter miniature unmanned aircraft system. There is not much information about the proposed operation, and FCC staff has asked for more details. Sportvision filed an application (with supporting exhibits) for special temporary authority for testing of an automobile race track wireless data system that is to provide data communications between vehicles in a race track and one or more fixed base stations installed along a track. Operation is to be on 2395-2400 MHz. One application seen for this system is video image enhancement for television broadcasting of automobile racing events. The would allow television viewers to see, displayed on screen, the real-time location of cars during a racing event. The frequency band requested is allocated on a primary basis to the Amateur Radio Service, and coordination is to be performed with the ARRL. This application was granted on June 4. This summarizes a selection of applications for the Experimental Radio Service received by the FCC during May 2010. These are related to WiMAX, sensors, SAW devices, radio-location, ultra-wideband, white space, aircraft passenger communications, landslide monitoring, collision avoidance radar, mobile DTV, LTE, Inmarsat handsets, highway rock-fall monitoring, HF communications, spacecraft link characterization, and interference into broadband access. Polytechnic Institute of NYU filed an application (with supporting exhibit) for experimental license to conduct a network research project using WiMAX on 2535-2540 MHz. This is part of the nationwide Global Environment for Network Innovations (GENI) project, a suite of infrastructure that will support experimental research in network science and engineering. GENI is supported by the National Science Foundation and managed by the GENI Project Office at BBN Technologies. Mnemonics, Inc. filed an application (with supporting exhibits) for experimental license to operate in support of a research project that is to develop and demonstrate the viability of wirelessly extracting measured data from a network of passive surface acoustic wave (SAW) sensor devices. This sensing technique is said to have several advantages over existing sensors, including no wired connections needed to extract data, no power requirements, operation up to 1000 degrees C., and sensor cost in-quantity in the tens of cents each. Operation will be on 915 MHz. This summarizes a selection of applications for the Experimental Radio Service received by the FCC during April 16 – April 30, 2010. These are related to GPS, ultra-wideband, high-frequency radar, mobile satellite antennas, and flight test telemetry. Starling Advanced Communications filed an application (with supporting exhibits) for special temporary authority to test vehicle-mounted Ku-band transmit/receive satellite terminals. Data rates will vary from 128 kbps to 2 Mbps. The tests will use the following satellites: Horizons-1 at 127° W.L., Galaxy 17 at 91° W.L., Galaxy 19 at 97° W.L., and Galaxy 16 at 99° W.L.. Operation will be on 14.0 – 14.5 GHz. The Los Angeles County Sherriff’s Department filed an application for which all details are not publicly available due to a request for confidentiality. From available exhibits, it seeks to conduct field testing and evaluation of a through-the-wall surveillance radar prototype developed by Akela, Inc. It appears operation will be in the band 500-3600 MHz. The Geophysical Institute of the University of Alaska Fairbanks, filed an application (with supporting exhibits) for experimental license to operate equipment in support of the SuperDARN radar network, which is used for research on the upper atmosphere. The equipment to be used is in prototype form from Leicester University in the UK. Operation is to be on various frequencies from 8 to 20 MHz. DRS Codem Systems filed an application for which confidentiality was requested. From available exhibits, the test seems to involve the company’s DRS’s X-Band vehicle-mounted satellite-terminal antenna system. Blue Origin, an aerospace research and development company developing commercial space launch vehicle technology, filed an application (with supporting exhibit) for experimental license to support command and telemetry communications testing in support of its New Shepard project, which consists of two vehicles that are attached at launch but separate during flight. Blue Origin conducts flight testing of these vehicles at its test facility in Culberson County, Texas. Each vehicle needs a separate command and telemetry link. Blue Origin already has authorizations for 2069 MHz, 2202 MHz and 2250 MHz. This application adds 2042 MHz. Raytheon Missile Systems filed an application (with supporting exhibit) for experimental license for missile communications testing. Three radio systems related to range safety are to be tested, and include a Flight Terminate Receiver operating on 420-430 MHz, an S-Band Telemetry transmitter operating on 2200-2290, 2310-2369, and 2360-2390 MHz, and a C-Band transponder operating on 5400-5900 MHz. Greenwood Telecommunications Consultants filed an application (and supporting exhibit) for experimental license to test an in-building GPS navigation network solution developed by Insiteo SA, a French company. Operation is to be on 1563-1589 MHz. Lockheed Martin filed an application for special temporary authority to test strategies to mitigate the impact of co-frequency Radionavigation Satellite Service (e.g., GPS) signals on the operation of a TPS77 radar signal. Operation will be on 1215-1400 MHz. This summarizes a selection of applications for the Experimental Radio Service received by the FCC during March 31 – April 15, 2010. These are related to WiMAX, unmanned aerial vehicles, radar, cellular networking, rural broadband, ultra-wideband, satellite, software defined radio, white space, adaptive networks, and amplitude companded side band. Clearwire filed an application for special temporary authority (with supporting exhibits) to test WiMAX equipment at various locations in California on 2502-2568 MHz. The purpose of the test is to validate the ability of equipment to operate satisfactorily in the presence of collocated equipment licensed to Sprint in the 800 and 1900 MHz bands. DataSoft Corporation filed an application (with supporting exhibit) for experimental license. The company says it is developing a Software Defined Radio platform featuring a configurable 400 MHz to 4000 MHz transceiver intended for markets requiring an adaptable, programmable, or cognitive radio such as TV white space, smart grid, and home networking. The experimental license is to support testing of the transceiver in a TV white space application. Due to lack of available white-space client devices, the applicant proposes using re-banded Wi-Fi equipment in the experiment. Operation is to be in Scottsdale, Arizona on 500-540 MHz. BAE Systems filed an application (with supporting exhibit) for experimental license to test a wireless link for use by the US Army between a soldier’s night weapon sight and night vision goggles. The wireless link will utilize WiMedia MB-OFDM Ultra-wideband technology. Operation is to be on 3.168-4.752 GHz. Honeywell filed an application (with supporting exhibits) for experimental license to test integration of a direct digital radio link into small unmanned aerial vehicles. This is in support of two US Army programs and one US Navy program. The radio is manufactured by AeroVironment, Inc. 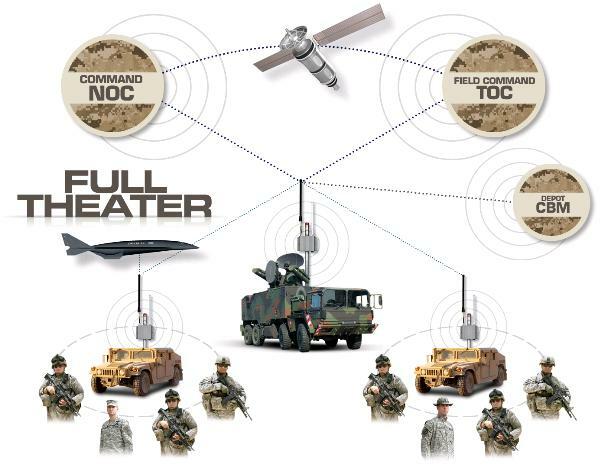 Both command and control, as well as video downlink, utilize the same radio. Frequency bands requested are 1711.5-1721.5 MHz and 1755-1848 MHz. Operation will be in Albuquerque and Rio Rancho, New Mexico. Texas Tech University Wind Science and Engineering Research Center filed an application (with supporting exhibit) for special temporary authority to operate a Ka-band mobile radar systems in support of tornado research. Operation is to be at 34.86 GHz. Kestrel Signal Processing filed an application for special temporary authority to allow “testing of a novel cellular network technology that is compatible with standard GSM cellular handsets.” The operation will be on the grounds of, and overlap in time with, the Burning Man event held near Gerlach, Nevada Aug. 30 – Sept. 6, 2010. Operation will be on 869-894 MHz and 1930-1945 MHz. CenturyTel Broadband Wireless filed an application for special temporary authority to assess the performance of equipment manufactured by IPWireless (but not yet FCC type accepted) for providing 700 MHz rural broadband service. Operation is to be at Monroe, Louisiana on 736-746 MHz. Inmarsat Hawaii filed an application (with supporting exhibit) for special temporary authority to initiate a program of experimentation designed to facilitate the introduction of a new Broadband Global Area Network (BGAN) user terminal type. The testing would attempt to gain knowledge with respect to link quality and to validate Inmarsat’s theoretical approach. Testing also would evaluate the interaction of the new terminal type with Inmarsat’s ground infrastructure. Inmarsat proposes to test the terminal type in the 1626.5- 1660.5 MHz transmit band and 1525.0-1559.0 MHz receive band. Radio Design Group filed an application (with supporting exhibit) for experimental license to test a wireless intercom system that will utilize an Amplitude Companded Side Band (ACSB) RF platform. The applicant expects this to provide a stable and robust signal that is efficient in terms of transmission bandwidth and power. The applicant also expects this system to allow for an occupied bandwidth of 15 kHz per audio path including guard band. The system will be tested on 174-216 MHz and 470-512 MHz in the vicinity of Grants Pass, Oregon. This summarizes a selection of applications for the Experimental Radio Service received by the FCC during March 15-30, 2010. These are related to weather radar, medical telemetry, RFID, satellite, aircraft telemetry, high-frequency direction finding, and meteorological telemetry. Fitness Foundation filed an application (with supporting exhibit) for experimental license to test wireless monitoring and reporting of people’s activity levels in support of an effort to combat obesity and promote active lifestyles. Operation is to be on 174-216 MHz and 512-700 MHz near Mt. Lebanon, Pennsylvania. FCC staff is concerned about the potential for interference to others and has asked the applicant why so much bandwidth is needed. Hyperion Technology Group filed an application (with supporting exhibit) for experimental license to support the development of a system capable of early detection of extreme weather phenomena, including wind shear, tornadoes and hurricane-spawned tornadoes. Operation is to be nationwide on 10.4-10.6 GHz. FCC staff questions this frequency selection, saying in correspondence to the applicant that there are two footnotes to the U.S Table of Allocations that are problematic. US58 prohibits pulsed emissions in 10-10.5 GHz. US59 prohibits any emission other than N0N in 10.5-10.55 GHz. Staff further observes that while experimental licenses are not always bound by allocation restrictions, there is great likelihood that NTIA would object to this application when it gets coordinated with government users. The applicant has suggested a compromise, and notes that the frequency range was selected based on the availability of relatively-inexpensive commercial off-the-shelf hardware for the initial research. Once the concept is validated and high-energy wind phenomena are better understood, it is the applicant’s intention to move to a different frequency and build custom hardware to support that frequency. David Miller (MIT) filed an application (with supporting exhibits) for experimental license to conduct testing of the CASTOR (Cathode/Anode Satellite Thruster for Orbital Repositioning) satellite. The intent is to validate the performance and application of Diverging Cusped Field Thruster (DCFT) technology. According to the Miller, this will be achieved by taking on-orbit state data to compare the degradation experienced by the DCFT to that of similar technologies such as Hall thrusters. In order to measure the thruster’s on-orbit performance, efficiency, and degradation, it is necessary to transmit sensor data and pictures obtained from an onboard camera to a ground station. Operation is to be in low-earth orbit (700-3000 km) on 2.4000-2.4835 GHz. Northrop Grumman filed an application (with supporting exhibit) for special temporary authority for the purpose of developing an airborne platform with a microwave transmitter to fulfill a contract with the US Air Force. The requested frequency band is 2250-2260 MHz. The University of Washington filed an application for special temporary authority to operate on 433.845-433.995 MHz from free-flying balloons launched in Washington State. This is to support, as part of a class project, research in atmospheric structure using a transmitter as a sounder to make atmospheric temperature profiles and as a beacon to recover the transmitter. Keurig, Inc. filed an application for special temporary authority to operate RFID technology on 902-928 MHz. Keurig is a vendor of single-cup beverage brewing systems. Its new Keurig B80K home-based brewers will use new beverage identification technology implemented with RFID. In the system, “K-Cups” containing the beverage powder are embedded with RFID tags. The brewers identify the type of K-Cup used and adjust brewing parameters to match the beverage. Prior to design finalization of the brewer, Keurig wants to conduct consumer acceptance testing with 300 brewers in the field. Ticom Geomatics filed an application (with supporting exhibit) for experimental license to operate on various high frequencies in the 2-30 MHz range for test and development of direction finding techniques. As part of a US Navy contract, the company is extending high-frequency groundwave geolocation techniques to include skywave and near vertical incidence skywave (NVIS) signals. This work will include enhancements to a groundwave/skywave discriminator, extensions to include ionospheric modeling, and geolocation and error model enhancements. This summarizes a selection of applications for the Experimental Radio Service received by the FCC during February 27 – March 14. These are related to smart grid, antennas, radar, military, satellite, data links, roaming services, maritime communications, WiMAX, network protocols, and UAVs. Sensus Spectrum filed an application (with supporting exhibit) for special temporary authority to test European Advanced Metering Infrastructure (AMI) equipment on 412-424 MHz. The University of Colorado filed an application (with supporting exhibit) for special temporary authority to test the feasibility of synthetic aperture radar in an end-fire configuration. This configuration will output short (50ns) bursts of approximately 10W at 500-530 MHz in order to construct an image of objects in an adjacent parking lot. This is an attempt to prove the feasibility of a new radar configuration for a proposal to NASA. Oceanit filed an application for special temporary authority for a Ku-band SATCOM transmission test with an experimental ground-based phased-array antenna. Operation is to be on 13.75-14.50 GHz. Northrop Grumman filed an application (with supporting exhibit) for special temporary authority to test an electronically-scanned-array radar system intended to act as part of a missile interceptor system to protect against rocket, artillery and mortar threats. Operation is to be on 16.2-17.3 GHz. This summarizes a selection of applications for the Experimental Radio Service received by the FCC during February 21-26: radar, WiMAX, MVDDS, aeronautical communications, private mobile data, millimeter wave, high-frequency data, space communications, and radiolocation. The Maryland Department of the Environment filed an application (with supporting exhibits) to operate a wind-profiling radar on 915 MHz. The equipment was developed by the National Oceanic and Atmospheric Administration (NOAA) and fabricated by Radian International. The antenna is to consist of one steerable four-panel micro-patch phased array. DTV Norwich filed an application (with supporting exhibit) for special temporary authority to conduct propagation tests prior to potential full-scale deployment of Multichannel Video and Data Distribution Service (“MVDDS”) at 12.2 to 12.7 GHz in the Miami area. This is to determine the suitability of potential transmitter sites for full-scale operation, for which DTV Norwich has a license. This summarizes a selection of applications for the Experimental Radio Service received by the FCC during February 13-20: landslide monitoring, WiMAX, earth-station antennas, radar, military mobile data, automatic aircraft landing, psyops transmission. Skyport Global Communications filed an application (with supporting exhibits) to test a 55cm slot-array X-band antenna manufactured by EMS Technologies on 8218-8400 MHz. The test will be done using a satellite link between the 55cm antenna in Atlanta, Georgia and a hub in Houston, Texas using the XTAR LANT X-band satellite. This describes a selection of applications for the Experimental Radio Service received by the FCC during January 30 through February 7: surveillance radar, airborne telemetry, mobile services, satellite, and amateur radio. Lockheed Martin filed an application (with supporting exhibit) for an experimental license to operate three models of ICx Radar System’s perimeter surveillance radar on 35.5 GHz for R&D and customer demonstrations. This will occur at various locations in the US, but primarily in Syracuse, New York. Honeywell filed an application (with supporting exhibits) for special temporary authority to operate in the 1625-1725 MHz range while integrating a new AeroVironment radio with an unmanned aerial vehicle used by the military. A key feature of the radio is that both command and control, as well as video downlink, can be accomplished using the same unit. Operation will be in New Mexico . There is concern about protecting the 1660.5-1668.4 MHz radio astronomy band, and discussions are ongoing. This summarizes a selection of applications for the Experimental Radio Service received by the FCC during January 25-29: radar, mobile broadband, auto-tracking antennas, millimeter wave, missile telemetry, astronomy research support. Powerwave, a wireless infrastructure vendor, files an application and supporting exhibits for experimental license to operate on 210-216 and 450-456 MHz in Santa Ana, California. The company wants to test operational and coverage aspects of Mobile Broadband Routable Internet (MBRI) users as they move about a campus setting. Hardware and software for handover, quality of service, and power control is to be tested. This summarizes a selection of applications for Experimental Radio license, and for Special Temporary Authority, received by the FCC during January 21-25: radar, spacecraft telemetry, cognitive radio, modulation/demodulation techniques. This summarizes a selection of applications for Experimental Radio license, and for Special Temporary Authority, received by the FCC during January 14-20: VSAT for Haiti, helicopter surveillance in Chicago, WiMAX, wideband at high frequencies, avionics, cell phone jamming, and radar.